behind the daily screaming matches on primetime news. is being forged in front of our eyes. An Aaron Sorkin moment, that’s what it was. It could have been the pilot episode of Studio 60 on the Sunset Strip. Or the opening episode of his current show, The Newsroom. Only, I was inside a TV newsroom when the rare and dramatic moral episode in India’s politics occurred on live television. Cut to Friday, September 27. The daily news cycle had begun. The first major headline was in. The Supreme Court had just ruled that the voter must have the right to cast a negative vote, a ‘None of the above’ option to reject all candidates in an election. The court reporter of the news channel was piecing together details of the verdict a few minutes after it had been delivered. The question was: If more than half the people reject all the candidates, does the election get annulled or does it remain a victory for the first candidate past the post? The assignment desk was lining up people to be interviewed for this story. Reporters on the ground, analysts and commentators to be contacted, reactions from major political parties. The feed provided by the multimedia news agency ANI, on which rely several news channels in these times of budget cuts, dipping advertising revenues and layoffs. Amid a glut of TV screens, instructions passed in a coded language that make an outsider feel like a vestige of an analog past. We’ve all seen this in films and on TV shows. But inside a TV newsroom, all you can feel is the buzz of news. The high of the messenger. Remember Pheidippides, the messenger who ran 40 km to Athens to announce the Greek victory at the Battle of Marathon, and died of exhaustion after conveying the news, thereby establishing the distance of the marathon race. The first to find out, the first to go on live television, the first to tell the world what just happened. That’s when Rahul Gandhi crashed a regulation press conference Ajay Maken, head of the Congress party’s media wing, was holding at the Press Club of India. Maken was defending the UPA government’s ordinance to allow elected lawmakers to remain in office after a conviction. Gandhi, the party’s vice president, said the ordinance was complete nonsense and that it should be torn up and thrown away. Eight minutes after defending the ordinance, Maken was forced to justify Gandhi’s attack on it. TV journalists know the drill when big stories break. Reporters and OB vans were repositioned, the hunt started for reactions and comments from political parties and social activists, the news ticker scroll began to change by the minute. Instructions began to fly in the newsroom code. Quick decisions followed quick meetings. “Speed is our biggest strength. It is also our biggest limitation,” the news head of a channel told me. There is little time for contemplation or deliberation. In a corner of the newsroom, another team of journalists began working the phones. The guest coordinators were calling up political parties and lining up important guests for the evening’s debate shows. With all news channels resorting now to TV debates with political party spokespersons and talking heads, the guest coordinator has become a key position in journalism. He rounds up guests for primetime political discussions that have become the bread and butter of news TV – political party spokespersons, talking heads, ‘experts’. Guest coordinators work the new trenches of our media. They command greater attention in the newsroom. They are usually positioned close to the assignment desk. At a time when the national bureaus of TV channels are shrinking, teams of guest coordinators are expanding. The chief guest coordinator usually attends meetings of top editors and is regularly consulted on what’s in the works and what needs to be done. These coordinators still face criticism from their editors about the quality of guests, but there is greater appreciation for what they do – the recognition that a guest coordinator is an essential ingredient of a newsroom today. You will not be able to look at an unfamiliar newsroom and point out guest coordinators by how they talk or look. They are treated as what they are – journalists. That was when there were few discussion-format shows on TV. At that time, even major political leaders were available for comment. TV channels could afford to be choosy about guests. That was also a time when the mainstay of primetime shows was news reported by correspondents. But as reporter after disgruntled TV reporter points out, generating content for TV news is quite expensive, and talking heads are the cheapest form of current affairs television. The guest coordinator who began his career with no salary now has several channels vying to hire him at lucrative positions. The salaries he is being offered are close to double of what he was earning a few months ago. Another guest coordinator has broken into the top editorial team of a leading Hindi news channel. “It is hard economics at work. One hour of reported news content can cost lakhs of rupees. 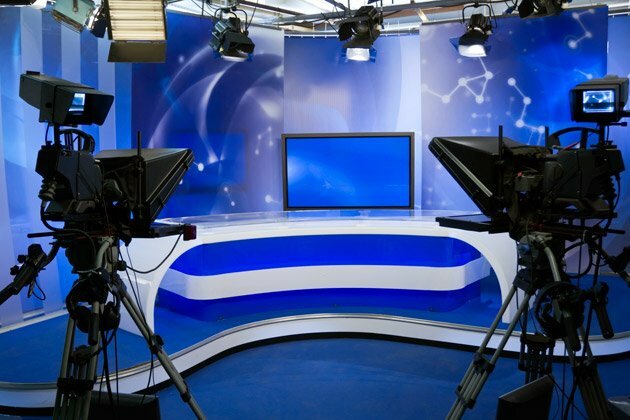 When the channels were making profits, they were keen to invest in newsgathering,” says a well-known TV journalist who has been in the electronic news business for almost three decades. All that changed with the decline in revenues that happened along with the current downturn in the economy, which also shrunk the advertising budgets of corporations. Getting six guests for a live discussion can be accomplished with an expenditure of thousands instead of lakhs of rupees. That has become the current affairs format of choice. News TV has been a victim of its own success – there are now 400-odd current affairs channels broadcasting in several languages in India. About 150 of them are 24×7 channels. “I know of politicians who try to oblige guest coordinators – in the many ways in which people are obliged in Delhi,” says the political secretary to a senior political leader. Guest coordinators have some of the most interesting background material on politicians. For example, in the Congress, those who wish to impress party president Sonia Gandhi want to appear on English news channels, while those who want to impress their voters want to appear on the Hindi channel most popular in their respective constituency. A BJP parliamentarian who preferred to go on English channels earlier started calling guest coordinators of Hindi channels after he lost the last Lok Sabha elections from a Hindi-speaking region. He now graces the Rajya Sabha. With the proliferation of TV news channels and the debate on each channel getting shriller by the day, the bigger leaders now shun these shows because they do not want to endure the grilling. Many of them prefer to give bytes to news agencies like ANI because they do not ask questions. But the editors and anchors demand ever-bigger names that help get the eyeballs and the ratings. While this has raised the profile of the guest coordinators, it has also handed them with three sets of guests lists. “The anchors always want people from the A-list, the big players. We offer people from the B-list, the second rung. And we often end up with people on the C-list because there are so many channels,” says a coordinator. And then the editors and anchors tend to sometimes change the topic of discussion after the guest list is finalised, which requires phone calls to a new set of talking heads and spokespersons. For example, the guest coordinators had already lined up Friday evening’s talking heads to discuss the Supreme Court order on the right to reject in voting, when Rahul Gandhi busted into Maken’s press conference to have his on-air moral episode. With such a big story breaking – on live TV – they had to scrap the line-up and plan the guests all over again. Politicians also prefer TV debates to reported stories – among other things, it allows them more time to occupy the screen. The six faces on the screen is called an equal-share placement; nobody gets to complain that the telly did not show their face for a reasonable duration, and the star anchors also feel happy since they appear as part of the story, if not the story. Several leaders evaluate their stock by the number of TV appearance-requests they get in a day and by the number of OB vans parked in front of their houses. If such vans cause a traffic snarl for the neighbours, that’s even better. If the neighbours happen to be competitors in the same party, nothing like it. TV news has become part and parcel of political life now. Parties are desperately trying to control how their image is conveyed in news shows and who represents them where. Because it has been taking a beating for the past several months on TV news, the Congress is more worried. In a media reshuffle in June, Ajay Maken was taken out of the cabinet and given charge of the media team, replacing the old-world Janardan Dwivedi. Since taking over, Maken has shuffled the list of spokespersons, authorising 36 people to appear on TV news and panel discussions. But that has not been enough. Each day, these people have to get approval for their respective appearance from the party’s media unit. Even TV channels have been instructed to approach the party’s media unit each morning with their requirements for spokespersons and panellists. The guest coordinators hate this because they end up getting people who do not have a personality appropriate for TV. So they have begun to rely on their equations with politicians to get them in front of their cameras, bypassing the media unit. The growth of the guest coordinator has been at the cost of the reporter, the real news gatherer pounding the pavement in search of a story. The beat reporter knows people only from his beat, but the guest coordinator’s phonebook spans the political spectrum. There was a time when TV reporters were criticised for byte gathering, but the agency ANI has taken over that aspect of reporting. With diminished budgets to travel, the reporter cannot generate original content that the agency cannot provide at a cheaper cost. And then there is social media. “My day begins by checking who has tweeted what,” says a young Congress correspondent for a news channel. “If I miss one tweet somewhere, it might result in a dressing down from my editor.” By the time the reporter goes to his listening posts and reaches his office, the editor already has news feeds from ANI. “Even when you get some good perspective and inside stories, the editor has made up his mind about the story,” says the reporter. The TV debate format has made anchors larger than the medium – even if they were reporters in the past, they are personalities now. “Reporters always wanted to be seen. Now, they want to be liked. That is unhealthy in journalism,” says a veteran correspondent who started reporting on politics in the early ’90s. All this pressure is purging TV reporting. “It’s clear they will not survive unless they bring something that nobody else brings to the camera: perspective, understanding, reliable sources of information, and a news sense that tells them what is going to happen before it happens,” says the veteran. In the TV news reporting business, only the marathon runners will survive. Those willing to run 40 km to convey the news, even if they die of exhaustion right after. The guest coordinators will continue to thrive till the equal-share TV debate format occupies primetime slots. When you see political spokespersons and talking heads holding forth on a live TV discussion, imagine the guest coordinator switching off his computer with satisfaction after a hard day’s work. And imagine the reporter next to him, still trying to think of new ways to get on air. ‹ How Do You Speak Your Freedom?